The performance of the B.A. Cupid, a machine which is new and experimental, is eagerly awaited. Lined-up on Thursday tor verification ot aircraft - "to verify that it is an aircraft and not a pram or a tame eagle with G-ARBO painted on its wings (via programme humorist). The machine in the foreground, incidentally, is the new B.A. Cupid, which must not be confused with Eagles, tame or otherwise. In the B.A. 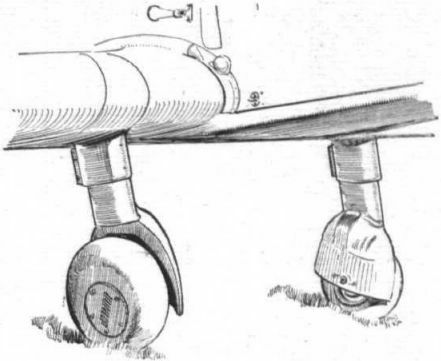 Cupid, the curved control column is mounted in a central position although still giving ample room for the pilot's legs. 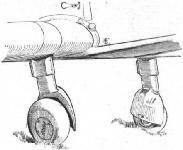 Half-spatted - the distinctive undercarriage of the B.A. Cupid. 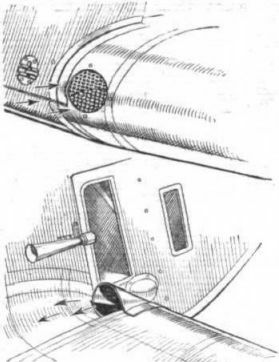 Vibration resulting from a loose airscrew hub caused John Armour to retire at Newcastle. How the oil is cooled in the B.A. Cupid. 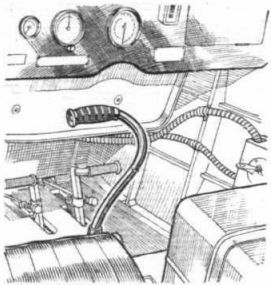 The air enters the port leading edge, passes through the oil tank and out above the starboard wing root.